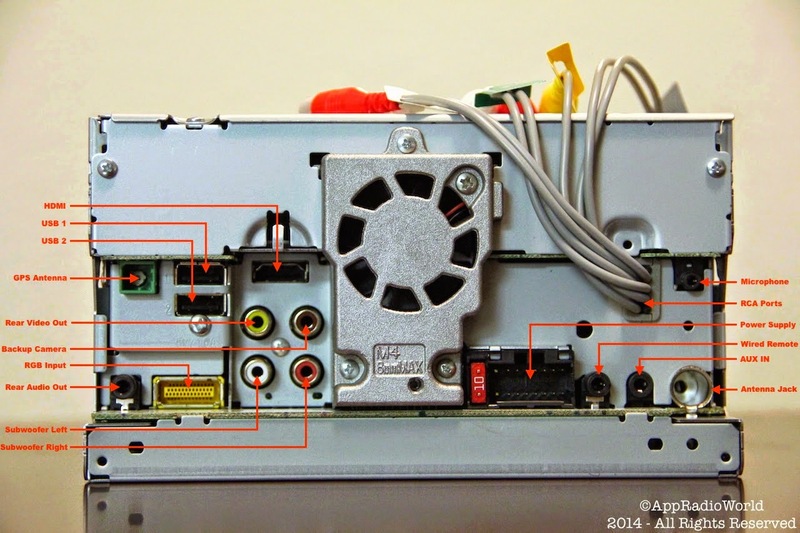 In the second part of our Pioneer AppRadio 4 (SPH-DA120) review process, we will look at installation and initial setup. We installed the review unit we received from Pioneer Electronics yesterday and have been testing it out ever since. Our full, in-depth review of the device will be posted in a few days. Read through the rest of this post to see how we went about installing the device. There are also a few of our initial impressions of the AppRadio 4 included at the bottom of this post. First, some general information regarding the installation process. Requirements: The best place to find out what exactly you'll need to install an aftermarket head unit in your car is Pioneer FitGuide. The guide gives you information about your vehicle and allows you to select which devices you would like to upgrade in your car. Information on which Pioneer head units will fit in your vehicle can be obtained here. In addition to checking with the FitGuide, remember that you will need dash kits, wiring harnesses, smartphone cable kits etc. which will have to be purchased separately (if you don't already have those). This applies to users that are upgrading their built-in sound systems to an aftermarket system. Precautions: It is advisable to disconnect the negative (-) cable on your car battery before installing to avoid the risk of shorts and damage. Read the owner's and installation manuals carefully before installing. Refer to the precautions and warnings listed in the manual. You can read it here. Disclaimer: This post includes our experiences during installation and is not meant to be a guide of any sort. Seek professional help if you aren't familiar with installation. Proceed at your own risk. The installation process will differ based on your vehicle make and model but this post will be an overall outline on what to expect when installing the device. Our vehicle had a Pioneer AppRadio 3 (SPH-DA210) installed which was connected via HDMI/Apple Digital AV Adapter to an iPhone 6. Since we already had an aftermarket head unit installed, installing the AppRadio 4 was a breeze. I was able to retain the existing dash kit, wiring harness, GPS antenna, microphone, HDMI cable, radio antenna, and steering wheel control. Running new cables and kits through the dash would be time-consuming and unnecessary. The AppRadio 4 is compatible with the same hardware as previous generation devices. If you are upgrading from an AppRadio 2 or AppRadio 3, your installation experience may be similar. Connecting the USB Cable: Only the USB 1 port has to be used when connecting an iPhone for CarPlay or for firmware updates. The USB 2 port is used for connecting an Android device (MHL or MirrorLink). At first I wasn't sure if I should connect the included USB cable or whether I should connect the lightning cable (CD-IU52 kit - separate purchase) directly to the USB 1 port on the head unit. The included USB cable is an extension cable with a male end and a female end. In case of firmware updates, you need to connect a USB flash drive to that port which is why connecting the USB extension cable is important. The cable should be run in such a way that the female end is easily accessible when the need to update the firmware arises. Connecting the HDMI Cable: For using AppRadio Mode from your iOS device or connecting an external video source, you need to connect an HDMI cable to the head unit. In case of AppRadio Mode, you will need an Apple Digital AV adapter (sold separately). The AppRadio 3 I had before, used the USB port on the iPhone cable (CD-IH202) for providing power using a lightning cable for the connection. The AppRadio 4 can use the lightning cable connected to USB 1 (CD-IU52) for powering the Digital AV adapter connection. In my case, I ran the HDMI cable through the center console to the armrest in my car. I will power the connection with a separate lightning cable connected to the 12V power adapter inside the armrest compartment. This way, the USB 1 cable stays separate and close to the head unit and will be used (more often) for CarPlay only. Connecting the AUX Cable: Unlike the AppRadio 3, the AppRadio 4 includes an AUX in connection. This can be used to connect any audio source like an old iPod to the device. Even though I don't anticipate using the AUX connection, I decided to run the cable. The AUX cable included with the AppRadio 4 is an extension cable with a male end and a female end. If you intend using an auxiliary device, keep the female end in an easily accessible place. Testing: Before putting your dashboard back together, it is important to test the device to make sure everything works correctly. This will prevent the time-consuming process of pulling everything apart to recheck the connections. It works!!! HDMI connection playing video file from iPhone 6. It's in and it's on! First Boot Up: After the splash screen disappears, you will see a language selection screen. Select the language you want and tap the Next arrow. You will then see the Smartphone Setup screen where you can choose the device and connection you will be using with your head unit. This setting can be changed at any time using the 'Settings' menu on the AppRadio 4. After making your selections you are brought to the AppRadio 4 menu screen. From here you can navigate to your desired feature. Initial Impressions: Here are some thoughts after a few hours of testing. I loved the fact that I could essentially plug and play this device in my existing setup. Even the Steering Wheel control didn't have to be reconfigured. Compared to the previous generation AppRadio 3, the AppRadio 4 interface is noticeably quicker. The interface has been adopted from Pioneer's robust NEX line of products. The capacitive touchscreen is very responsive. Most functions like color themes, display appearance, sound etc. are highly customizable. CarPlay works quite well even though a few issues exist. The new design of the AppRadio 4, where the button bar has been moved to the side, aids in making the screen look bigger than it actually is. The display itself measures 6.2 inches diagonally which is smaller than the AppRadio 3 (7 inches). The flat, touch-enabled buttons make the button bar look like a part of the display. Although some users may complain about the smaller screen size, I had no issues with it. So far, the AppRadio 4 seems like a worthy upgrade especially because it offers Apple CarPlay. Even without CarPlay, the device has comprehensive smartphone and other media device connectivity. The fiercest competition for the AppRadio 4 may be one of Pioneer's own NEX receivers. Pricing: A quick note about current AppRadio 4 prices. Although the head unit has a suggested retail priced of $600 we have been consistently finding much lower prices on Amazon. Amazon has the lowest prices to go around at the moment with some discounts reaching close to 25% or $150 below the retail price. If you've made up your mind to buy an AppRadio 4, we suggest visiting Amazon to take a look at the listings there. Full descriptions of the various functionalities will be covered in our in-depth review which is in progress. We will be extensively testing the AppRadio 4 over the next few days and will report back with what we find. If you have any questions regarding installation, feel free to leave a comment below or contact us using the 'Contact' link above. Are you saying there is a way to wire the unit to be able to use both Carplay and Apples digital converter? When I get to the "Smartphone Setup" page it makes me choose one. If I choose the Digital Converter it disables Carplay. I got this unit to use Carplay, but would like to be able to watch videos off my iPhone as well. Where's the first part of this review? I have a 2007 MS3 and just added a Clarion back up camera. Its just wonky with this headunit. 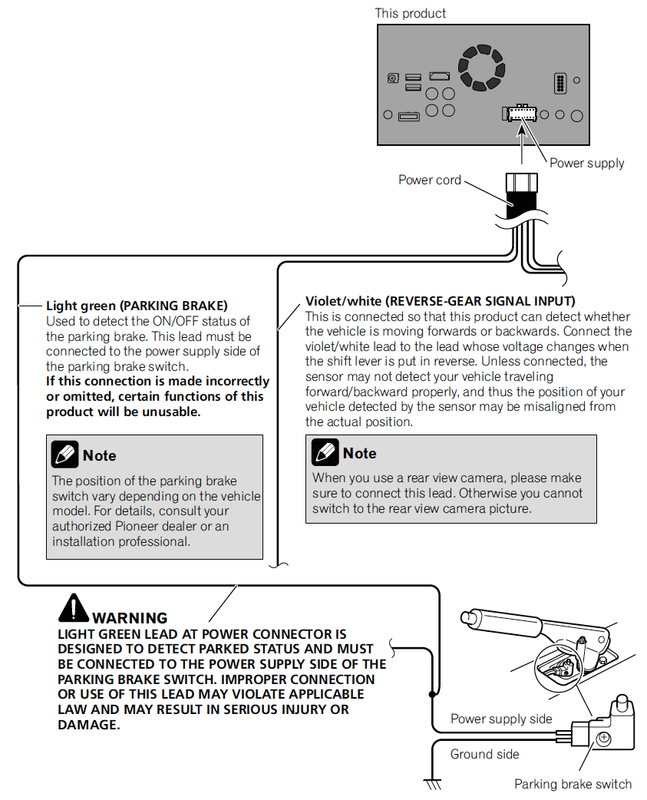 I have the parking brake wire grounded, but might need to actually connect it to the parking brake switch. Since you have a Mazda, did you find out where to connect that to? Get a MicroBypass Parking Override from Amazon. Works like a charm. I'm very confused with these micro bypass things? what do they do that grounding the wire won't? So is the HDMI required for carplay? Or will the lightning adapter be fine? If so how do I go About wiring that up? Where do the steering wheels controls go on the back of the AppRadio device ?